THE BOOK IS BRAND NEW & FACTORY SEALED. 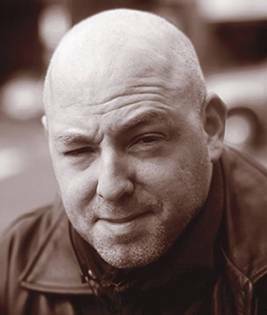 Brian Michael Bendis is an award winning comics creator and one of the most successful writers working in mainstream comics. For the last eleven years, Brian's books have consistently sat on the top of the nationwide comic and graphic novel sales charts. Brian is currently helming a renaissance for Marvel's popular AVENGERS franchise by writing every issue of the NEW AVENGERS plus debuting the hit books MIGHTY AVENGERS and DARK AVENGERS along with the wildly successful 'event' projects HOUSE OF M, SECRET WAR, SECRET INVASION, and SIEGE. This summer will see the blockbuster new line-ups for AVENGERS and NEW AVENGERS. Other recent projects include the groundbreaking SPIDER-WOMAN MOTION COMIC, that debuted number one on iTunes TV sales chart and the New York Times best selling HALO graphic novel. Brian is one of the premiere architects of Marvel comic's Ultimate line of comics. A line of comics specifically created for the new generation of comics reader. He has written every issue of ULTIMATE SPIDER-MAN since it's best selling launch in 1999, and has also written ULTIMATE FANTASTIC FOUR, X-MEN, MARVEL TEAM UP, ORIGIN, SIX and the ENEMY trilogy. He is creator of the JINX line of crime comics published by image comics. This line has spawned the graphic novels GOLDFISH, FIRE, JINX, TORSO (w/ Marc Andreyko) and TOTAL SELL OUT. Brian's other projects include the Eisner award winning "POWERS" (w/Mike Oeming) from Marvel's creator owned imprint ICON, and the Hollywood tell all "FORTUNE AND GLORY'. Entertainment Weekly gave both projects an "A." SONY and FX networks are currently developing POWERS for series with Brian as exec producer. Brian is currently adapting his spy graphic novel FIRE for Universal Pictures as a starring vehicle for Zac Efron. Brian has won five prestigious EISNER awards, including 'Best Writer of the year' two years in a row. He has also won over two dozen Wizard comic awards. Brian is the recipient of the Cleveland Press 'Excellence in Journalism' Award and was named "Best Writer of the Year." by Wizard Magazine and Comic Buyer's Guide for three consecutive years. He lives in Portland, Oregon with his wife Alisa, his gorgeous daughters Olivia and Sabrina and his dogs Lucky, Max and Buster.